For your convenience, we have prepared an information guide with all the information that you will need. 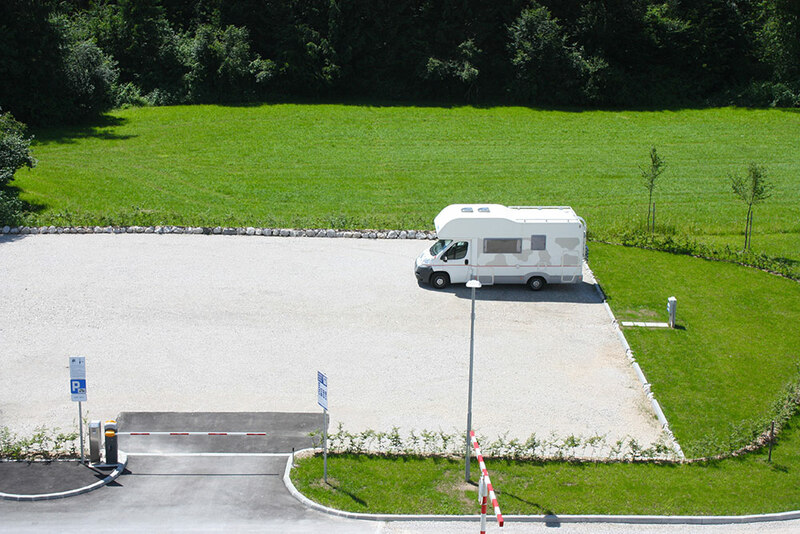 The CAMPER STOP CUBIS is located in the direct vicinity of the A2 highway (Ljubljana – Karavanke tunnel) on the No. 9 exit (Kranj-vzhod). 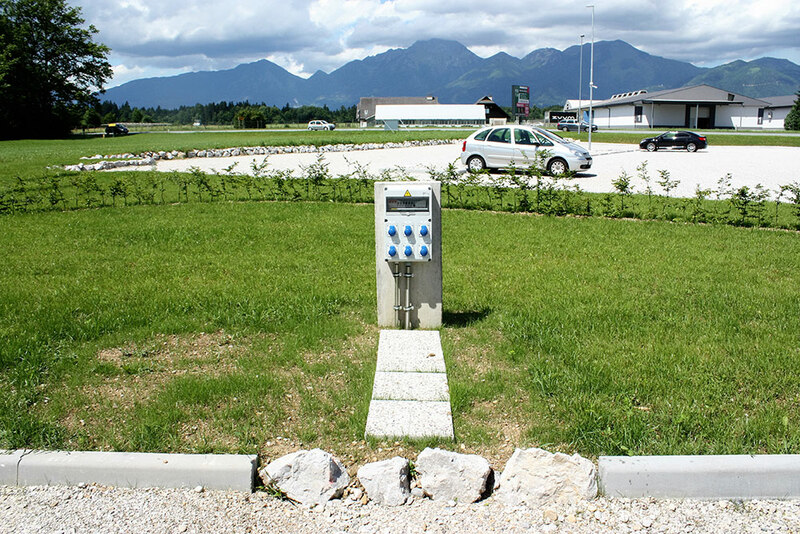 Driving from Austria the stop is located 1,2 km from the highway exit, driving from Ljubljana the stop is located 400 m from the highway exit in the direction towards the Ljubljana International Airport. 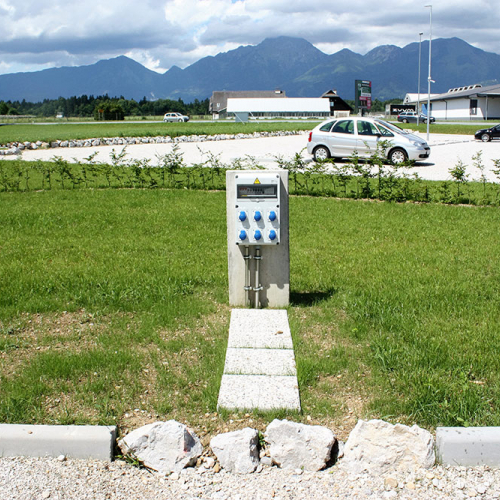 14 parking spaces (12 m x 3 m) at the forest edge of the local business zone with a view of the Alps await you at the stop. There you can rest safely (security service) and explore the region of Gorenjska, which offers you numerous experiences. 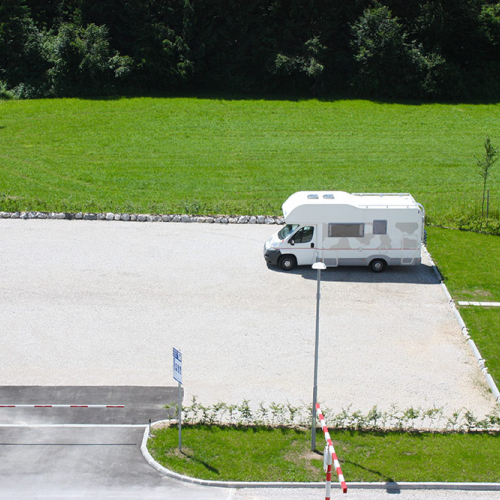 CAMPER STOP CUBIS enables parking and care of campers up to 12 m in length. 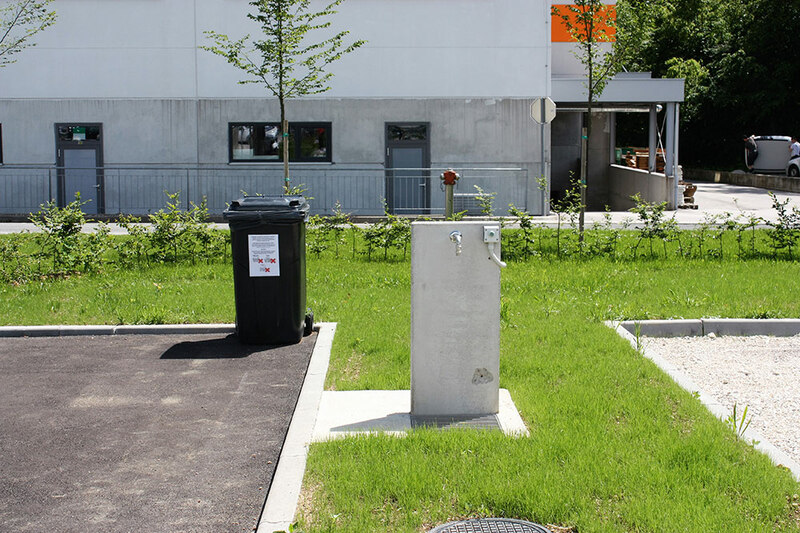 The parking (hardened gravel) is equipped with potable water, electricity, free internet, toilet and wastewater drainage. Password for Wi-Fi is written on parking ticket. you can find a bakery, camping equipment store, auto hi-fi store, auto workshop, hair dresser, car wash for larger vehicles, sport and recreation center, beauty salon, bicycle shop and repair shop, sports shop, gas station, ATM machine and an excellent CUBIS restaurant – »Steak & More«, which offers you a choice in culinary variety. The CUBIS Restaurant is located 150 m from your camper stop. We offer a variety of dishes, from steaks and burgers, to fish dishes, daily menus and much more. TripAdvisor ranks our restaurant #1 in the surroundings. With parking ticket, which you get it at your first entrance, you can leave the parking lot withing a period of 24 hours and come back with no extra charge. Important: For the re-entry is only valid parking ticket, which you received upon first entry and you have already made the payment! 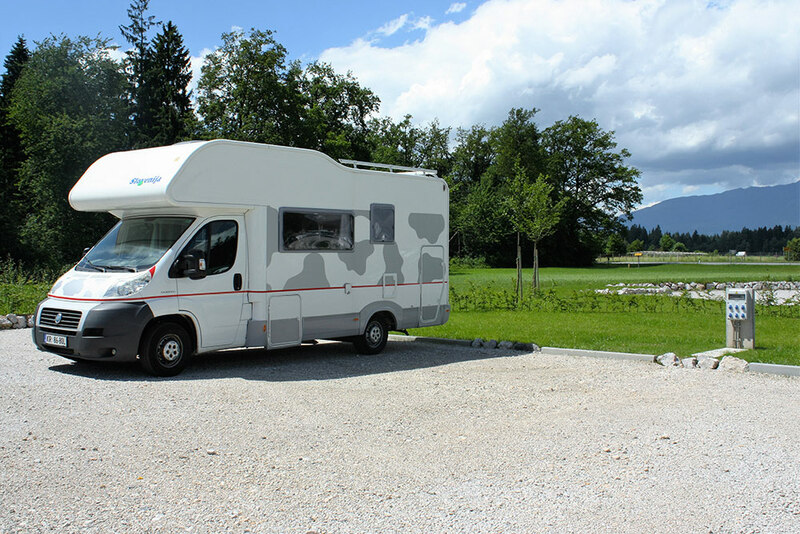 For customers with Camper Stop CUBIS parking receipts, Mixi Caravaning offers a further 5% discount on camping equipment, Karpos cycling products and other products not on special offer. 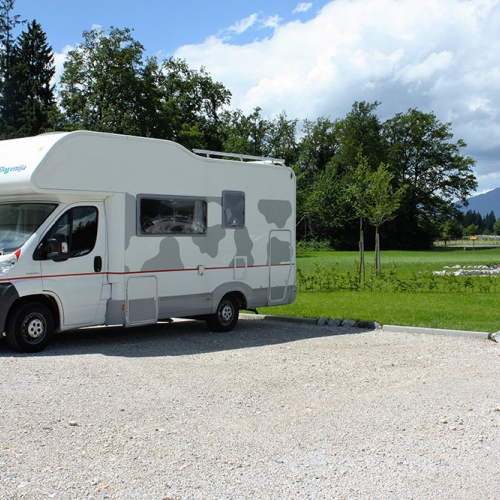 The shop offers a wide range of camping equipment, recreational vehicle refitting, and caravan and camper servicing. The A2U Sports Store offers a wide selection of bicycles and cycling gear, as well as bicycle service and repair. All CSC visitors can obtain a discount of 15% on items from A2U's regular product mix. 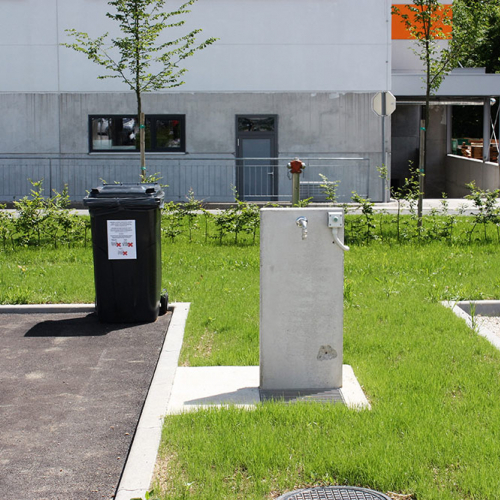 The automatic truck wash is suitable for campers, goods vehicles, multi-purpose vehicles, delivery vans, buses and tractor units with various upgrades. The truck wash is open on weekdays from 8 a.m. to 6 p.m. and on Saturdays from 8 a.m. to 2 p.m.
Bott is a company offering vehicle accessories, such as audio systems, alarms, parking sensors, video cameras and other multimedia accessories. Travelling workshop equipment and BOTT workshop equipment. The Protenex Sports and Recreation Centre is an ideal place for sports, such as tennis, in-line hockey, futsal, badminton and many others, including beach volleyball in the summer. The centre is open every day, all year round. The largest supply of screws and marine equipment in Slovenia. CSC visitors are offered a discount of 5 to 10% on all products, except for those already on sale. Avto Kadivec provides servicing, bodywork repair and painting services for vehicles of all brands.